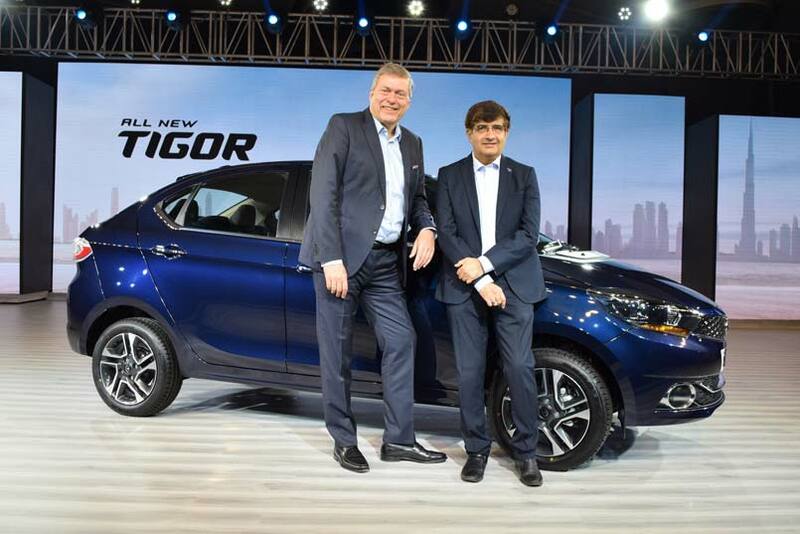 Bringing in yet another fantastic product to the passenger vehicle market, Tata Motors, today announced the addition of its next generation compact sedan, all new Tata Tigor. With exclusively styled interiors and exteriors, this premium compact sedan will be available across all Tata Motors authorized sales outlets at starting price of INR. 5.20 Lakhs for the petrol variant (powered by the 1.2L Revotron) and INR. 6.09 Lakhs for the diesel variant (powered by the 1.05L Revotorq), ex – showroom, New Delhi. Premium Exteriors: Adding to the exterior design elements, the new Tigor with its break free coupe-like roofline and dual chamber projector headlamps with sparkling chrome finish exudes immense style. The 15″ alloy wheels are offered in an impressive dual tone colour scheme and the ORVMs get LED turn indicators with auto fold function. It will be available in 6 exciting shades – Egyptian Blue, Roman Silver, Espresso Brown, Berry Red, Pearlescent White and Titanium Grey. Next generation HMI and user experience: With a 7″ capacitive infotainment with Android Auto from HarmanTM, the new Tigor comes equipped with 4 speakers and 4 tweeters, helping provide its cabin inmates with an exemplary surround sound experience. Every detail of the sound system has been precisely tuned by Harman golden ear certified auto experts to maximize the interior acoustics of each specific cabin, taking a leap towards auditory perfection and setting new standards for the ultimate in-cabin listening pleasure.